SATO, SPARE PARTS, TOOTHED LOCK WASHER Barcoding Store, powered by Strategic Mobiltiy Group, LLC (SMG3) offers globally recognized products and industry-leading solutions to enhance your organnization's productivity. Combining optimal search functionality and industry-leading products from Zebra, Honeywell, AML, etc., Barcoding Store creates a superior shopping experience unlike any other withing our industry. WASP, HC1 BUNGEE CORD FOR STYLUS Barcoding Store, powered by Strategic Mobiltiy Group, LLC (SMG3) offers globally recognized products and industry-leading solutions to enhance your organnization's productivity. Combining optimal search functionality and industry-leading products from Zebra, Honeywell, AML, etc., Barcoding Store creates a superior shopping experience unlike any other withing our industry. ZEBRACARD, ZXP3, SPARE PART, KIT OUTPUT HOPPER NON-ENCODER Barcoding Store, powered by Strategic Mobiltiy Group, LLC (SMG3) offers globally recognized products and industry-leading solutions to enhance your organnization's productivity. Combining optimal search functionality and industry-leading products from Zebra, Honeywell, AML, etc., Barcoding Store creates a superior shopping experience unlike any other withing our industry. DT RESEARCH, ACCESSORIES, X-H,STRAP DESIGNED TO SECURELY HOLD THE DT365 TABLETS., MADE OF SOFT PLASTIC, EASY TO CLEAN. FOR LEFT- OR RIGHT-H,ED USERS Barcoding Store, powered by Strategic Mobiltiy Group, LLC (SMG3) offers globally recognized products and industry-leading solutions to enhance your organnization's productivity. Combining optimal search functionality and industry-leading products from Zebra, Honeywell, AML, etc., Barcoding Store creates a superior shopping experience unlike any other withing our industry. ZEBRACARD, PART, KIT, FLEXIBLE RIBBED ROLLER (QTY 5) Barcoding Store, powered by Strategic Mobiltiy Group, LLC (SMG3) offers globally recognized products and industry-leading solutions to enhance your organnization's productivity. Combining optimal search functionality and industry-leading products from Zebra, Honeywell, AML, etc., Barcoding Store creates a superior shopping experience unlike any other withing our industry. 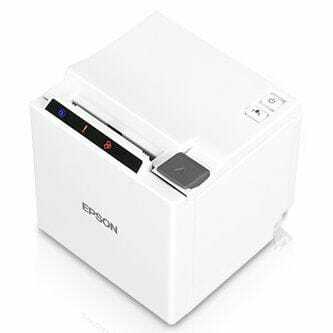 ZEBRACARD, CARD PRINTER, ZXP3, SPARE PART, KIT, FLIPPER POSITION SENSOR Barcoding Store, powered by Strategic Mobiltiy Group, LLC (SMG3) offers globally recognized products and industry-leading solutions to enhance your organnization's productivity. Combining optimal search functionality and industry-leading products from Zebra, Honeywell, AML, etc., Barcoding Store creates a superior shopping experience unlike any other withing our industry. ZEBRACARD, PART, KIT SYNC SENSOR ZXP3 Barcoding Store, powered by Strategic Mobiltiy Group, LLC (SMG3) offers globally recognized products and industry-leading solutions to enhance your organnization's productivity. Combining optimal search functionality and industry-leading products from Zebra, Honeywell, AML, etc., Barcoding Store creates a superior shopping experience unlike any other withing our industry. PANASONIC US, ACCESSORY, USB CHARGER, FZ-T1 Barcoding Store, powered by Strategic Mobiltiy Group, LLC (SMG3) offers globally recognized products and industry-leading solutions to enhance your organnization's productivity. Combining optimal search functionality and industry-leading products from Zebra, Honeywell, AML, etc., Barcoding Store creates a superior shopping experience unlike any other withing our industry. ZEBRA CARD, TRANSPORT ASSEMBLY CARD DETECTOR Barcoding Store, powered by Strategic Mobiltiy Group, LLC (SMG3) offers globally recognized products and industry-leading solutions to enhance your organnization's productivity. Combining optimal search functionality and industry-leading products from Zebra, Honeywell, AML, etc., Barcoding Store creates a superior shopping experience unlike any other withing our industry. 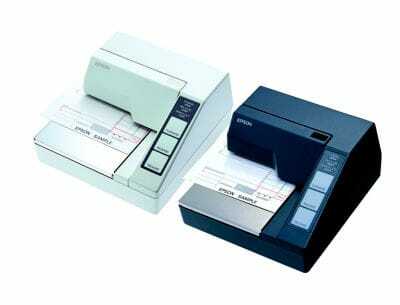 ZEBRACARD, CONSUMABLES, WHITE TRUE COLOURS I SERIES MONOCHROME CARTRIDGE RIBBON, P1XX COMPATIBLE, 850 IMAGES PER ROLL, PRICED PER ROLL Barcoding Store, powered by Strategic Mobiltiy Group, LLC (SMG3) offers globally recognized products and industry-leading solutions to enhance your organnization's productivity. Combining optimal search functionality and industry-leading products from Zebra, Honeywell, AML, etc., Barcoding Store creates a superior shopping experience unlike any other withing our industry. BROTHER MOBILE, PREMIUM DIE-CUT 2IN. X 4IN. 5" OD 8 ROLLS/CASE Barcoding Store, powered by Strategic Mobiltiy Group, LLC (SMG3) offers globally recognized products and industry-leading solutions to enhance your organnization's productivity. Combining optimal search functionality and industry-leading products from Zebra, Honeywell, AML, etc., Barcoding Store creates a superior shopping experience unlike any other withing our industry. 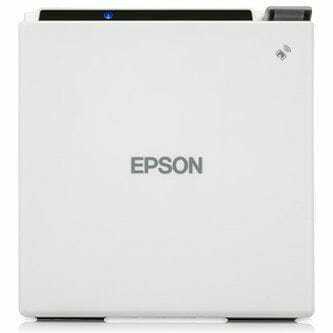 ENS-TAILWIND, PRINTER TRAY WITH ARM, FIXED CLAMP, FOR 2.0 DIA POLE Barcoding Store, powered by Strategic Mobiltiy Group, LLC (SMG3) offers globally recognized products and industry-leading solutions to enhance your organnization's productivity. Combining optimal search functionality and industry-leading products from Zebra, Honeywell, AML, etc., Barcoding Store creates a superior shopping experience unlike any other withing our industry. 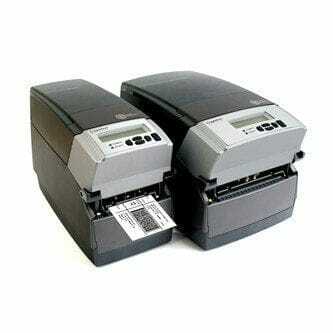 ZEBRA AIT, PART, KIT, PRINTHEAD 203 DPI, ZD420T ZD620T Barcoding Store, powered by Strategic Mobiltiy Group, LLC (SMG3) offers globally recognized products and industry-leading solutions to enhance your organnization's productivity. Combining optimal search functionality and industry-leading products from Zebra, Honeywell, AML, etc., Barcoding Store creates a superior shopping experience unlike any other withing our industry. 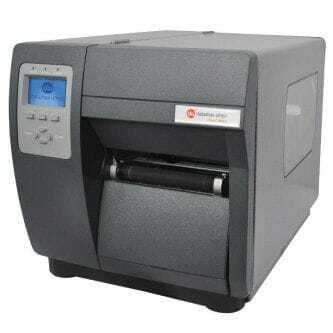 BROTHER MOBILE, PREMIUM DIE-CUT LABEL, 3IN X 2IN, 2.3" OD 36 ROLLS PER CASE Barcoding Store, powered by Strategic Mobiltiy Group, LLC (SMG3) offers globally recognized products and industry-leading solutions to enhance your organnization's productivity. Combining optimal search functionality and industry-leading products from Zebra, Honeywell, AML, etc., Barcoding Store creates a superior shopping experience unlike any other withing our industry. DT RESEARCH, DESKTOP CHARGING CRADLE FOR DT301 AND DT311 SERIES. DOCKING SUPPORT WITH PORTS FOR POWER, USB, DISPLAY PORT, AND ETHERNET. Barcoding Store, powered by Strategic Mobiltiy Group, LLC (SMG3) offers globally recognized products and industry-leading solutions to enhance your organnization's productivity. Combining optimal search functionality and industry-leading products from Zebra, Honeywell, AML, etc., Barcoding Store creates a superior shopping experience unlike any other withing our industry. THERMAMARK, CONSUMABLES, 4" X 75', CONTINUOUS INKJET, POLYESTER LABELS, GHS BS-5609 COMPLIANT, WITH MARGIN EDGES, PERMANENT ADHESIVE, 6 ROLLS PER CASE, PRICED PER CASE Barcoding Store, powered by Strategic Mobiltiy Group, LLC (SMG3) offers globally recognized products and industry-leading solutions to enhance your organnization's productivity. Combining optimal search functionality and industry-leading products from Zebra, Honeywell, AML, etc., Barcoding Store creates a superior shopping experience unlike any other withing our industry. 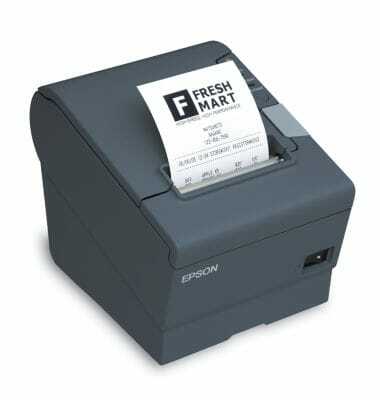 POS-X, ION THERMAL RECEIPT PRINTER, USB/ETHERNET INTERFACE, USB CABLE INCLUDED Barcoding Store, powered by Strategic Mobiltiy Group, LLC (SMG3) offers globally recognized products and industry-leading solutions to enhance your organnization's productivity. Combining optimal search functionality and industry-leading products from Zebra, Honeywell, AML, etc., Barcoding Store creates a superior shopping experience unlike any other withing our industry. 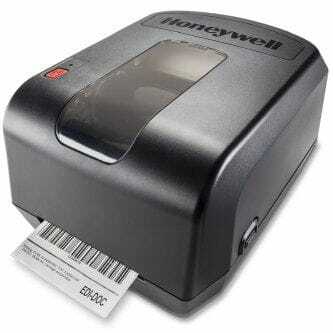 CODE, CR1500, BAR CODE READER, LIGHT GRAY, 8FT COILED USB CABLE, MCKESSON ADMINRX PREPROGRAMMED, REPLACES PART # CR1411-C508-C65 Barcoding Store, powered by Strategic Mobiltiy Group, LLC (SMG3) offers globally recognized products and industry-leading solutions to enhance your organnization's productivity. Combining optimal search functionality and industry-leading products from Zebra, Honeywell, AML, etc., Barcoding Store creates a superior shopping experience unlike any other withing our industry. CODE, READER KIT - CR1500 (CABLED, LIGHT GRAY, CODESHIELD, HANDLED), 8-FT COILED RS232 CABLE Barcoding Store, powered by Strategic Mobiltiy Group, LLC (SMG3) offers globally recognized products and industry-leading solutions to enhance your organnization's productivity. Combining optimal search functionality and industry-leading products from Zebra, Honeywell, AML, etc., Barcoding Store creates a superior shopping experience unlike any other withing our industry. CODE, READER KIT - CR1500 (CABLED, LIGHT GRAY, CODESHIELD, HANDLED), 14-FT COILED USB CABLE, MCKESSON CONFIGURATION Barcoding Store, powered by Strategic Mobiltiy Group, LLC (SMG3) offers globally recognized products and industry-leading solutions to enhance your organnization's productivity. Combining optimal search functionality and industry-leading products from Zebra, Honeywell, AML, etc., Barcoding Store creates a superior shopping experience unlike any other withing our industry. ZEBRACARD ACCESSORY KIT ENCDR ISO STRIPE DOWN FOR P310 Barcoding Store, powered by Strategic Mobiltiy Group, LLC (SMG3) offers globally recognized products and industry-leading solutions to enhance your organnization's productivity. Combining optimal search functionality and industry-leading products from Zebra, Honeywell, AML, etc., Barcoding Store creates a superior shopping experience unlike any other withing our industry. 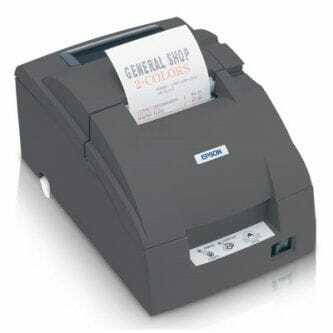 POS-X, EVO GREEN THERMAL RECEIPT, USB, SERIAL, ETHERNET INTERFACE, CABLES INCLUDED Barcoding Store, powered by Strategic Mobiltiy Group, LLC (SMG3) offers globally recognized products and industry-leading solutions to enhance your organnization's productivity. Combining optimal search functionality and industry-leading products from Zebra, Honeywell, AML, etc., Barcoding Store creates a superior shopping experience unlike any other withing our industry. 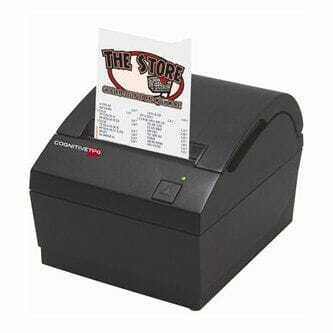 POS-X, EVO HISPEED THERMAL RECEIPT, USB, ETHERNET INTERFACE, CABLES INCLUDED Barcoding Store, powered by Strategic Mobiltiy Group, LLC (SMG3) offers globally recognized products and industry-leading solutions to enhance your organnization's productivity. Combining optimal search functionality and industry-leading products from Zebra, Honeywell, AML, etc., Barcoding Store creates a superior shopping experience unlike any other withing our industry.